Miss Demeanors is proud to host author Catherine Maiorisi today and join her in the celebration of the launch of “A Matter of Blood.” Welcome, Catherine! Can an author love their protagonist too much? I recently read a review of Thomas Keneally’s book, Crimes of the Father, and this comment by the reviewer set me thinking about writers and their protagonists. “For obvious reasons, Keneally admires his protagonist. As such, Docherty is not especially interesting, for he rarely seems genuinely unsure of himself….You can be damned sure, mate, that tough-and-tender ol’ Docherty’s going to do the difficult thing no matter the odds.” Does admiring your protagonist make her boring? Isn’t tough-and-tender what we want in a protagonist? Don’t we want someone who always does the right thing? One of the first things a writer learns is that unless her protagonist has flaws and faces internal and/or external conflict, she will have a hard time holding the reader’s interest. But sometimes finding the right balance is difficult. For example, I’ve loved a series with a detective who enjoys a drink and a profiler with some personal issues, who work together to solve crimes. But in the last few books they turned into a full-blown alcoholic and a psychological mess—and I’m having difficulty reading the latest book. It seems to me that the author made these characters flawed to increase their humanity but by pushing those flaws too far they’ve become repulsive. To this reader at least. So what makes a character appealing? In the Cain Casey Series by author Ali Vali, the female protagonist, Cain Casey, is the head of a New Orleans crime family. When her family, which includes her employees and her friends, is threatened she can be extraordinarily violent, cruelly and painfully killing those responsible. But her violence is never gratuitous. In business, Cain is principled and won’t deal in drugs or prostitution. Personally, Cain is loyal, brave, brilliant, loving, tender, giving, and fair. I find her irresistible. And then there’s Lieutenant Eve Dallas, the detective in JD Robb’s Death series. In pursuit of justice for her victims, she can be violent, but here too, never without provocation. She’s tough and brave and driven. She’s honest. And the main criminal in her life is her husband Roarke, one of the richest men on the planet. Before Eve, Roarke’s businesses were mostly illegal but since their marriage he’s straightened out. If necessary, Eve will bend the law to nail the bad guys. Yet, there’s an innocence about Eve. She was raised in foster homes and is clueless about things, like buying gifts, hugging people, chit chat, expensive clothes, and confused by her loyal and loving friends caring for her. The fact that I’ve read every single one of the thirty something Eve Dallas books indicates how I feel about Eve. 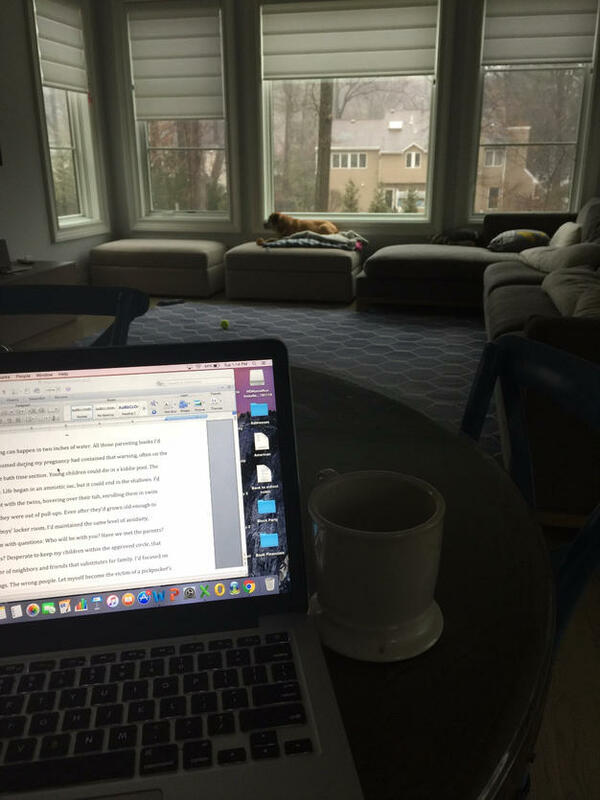 While I was writing my recently released mystery, A Matter of Blood, I gave an enormous amount of thought to my protagonist, NYPD Detective Chiara Corelli.And, in the early drafts of the book, Corelli was much like Docherty, too good to be true. Or, maybe too good to be interesting. In later drafts, and there were many, Corelli slowly morphed into what I hope is an interesting, frustrating, and fascinating character. Corelli has lots of baggage. She just aborted her undercover operation to expose a ring of dirty cops, and is being ostracized by her brothers and sisters in blue. And threatened. In addition, Corelli is definitely flawed. And angry. Detective P.J. Parker, who’s assigned to ensure Corelli doesn’t have an accident on the job, would probably tell you that at best she has PTSD and at worst she’s crazy. In fact, Parker only accepted the assignment because she wanted to work homicides and Corelli only accepted her so she wouldn’t have to be tied to a desk. But neither wants to work with the other. But even Parker will admit Corelli is brave. After a tour in Iraq and two in Afghanistan, she returned home and immediately volunteered for the undercover assignment from hell. Corelli says it was the right thing to do. Parker thinks maybe Corelli is the dirty one. Corelli fights for what she believes in. She will protect her family or die trying. 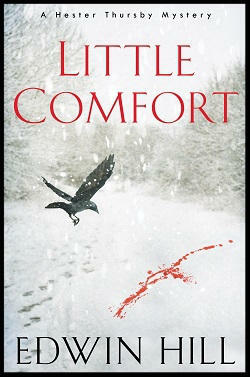 And though she’s honest and believes in the system, she learns an important lesson in A Matter of Blood. The system doesn’t always work for good people. I have to admit I love Corelli. Is she too good? Too bad? Likeable? Unlikeable? Memorable? You’ll have to tell me. Catherine Maiorisi lives in New York City and often writes under the watchful eye of Edgar Allan Poe in Edgar’s Café near the apartment. 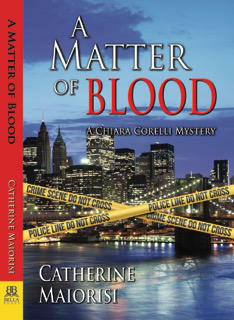 A Matter of Blood, Catherine’s first full-length mystery, features NYPD Detective Chiara Corelli and her reluctant partner, Detective P.J. Parker. In this book, the first in the series, the two tough women come out fighting—each other—and join forces to solve a brutal murder and protect Corelli’s family. 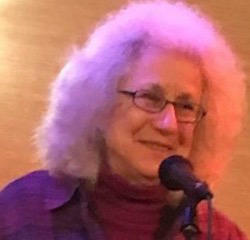 Three of Catherine’s mystery short stories have been published in the Murder New York Style anthologies—“Love, Secrets, and Lies” in Where Crime Never Sleeps, “Murder Italian Style” in Family Matters and “Justice for All” in Fresh Slices. Catherine has also published two full-length romances with Bella Books – Matters of the Heart and No One But You. Her romance short stories include a standalone ebook, Come as You Want to Be, and stories in two anthologies: “All’s Well that Ends Well” in Conference Call and “You Will See a Stranger” in Happily Ever After. 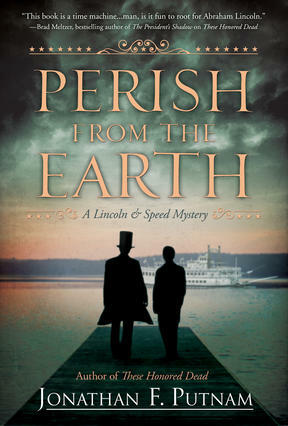 Catherine is active in the New York Chapters of Sisters in Crime and Mystery Writers of America. She is also a member of The Golden Crown Literary Society, Romance Writers of America, the New York Chapter of Romance Writers of America and the Authors Guild.Visit Catherine at www.catherinemaiorisi.com.